These are Strong Rope Brewery's core brand of beers. A range of American and English styles, these ales are lower in alcohol and run the gamut in terms of flavor, from a super hoppy IPA to a rich and roasty American Stout. J.J. Bollerack's Brown Ale: American Brown Ale, 6.5% ABV. Strong Rope's award winning Brown Ale, this beer is all about updating a classic American style. 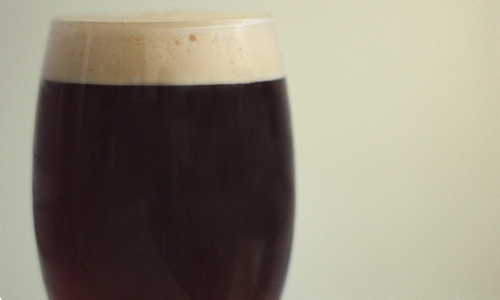 Centennial hops and Rye take this chocolatey and toasty ale to the next level of goodness. While the beer has a bit of residual sweetness from the low attenuating yeast used, the hops, rye and darker malts balance out that sweetness making a supremely drinkable and tasty Brown Ale. Named after an imaginary childhood friend of Eric, there is nothing imaginary about the robust flavors and aromas that come through in this wonderful beer. Seeds of Love and Outrage: IPA, 6.2% ABV. Stuck in Amber: American Amber Ale, 5.7% ABV. Stuck in Amber is an ale that, much like the fateful mosquito in Jurassic Park, perfectly preserves the potent yet layered floral and fruity aromas and flavors of a variety of American hops, in a balanced shell of toasty, nutty and sweet caramel malt. There is one thing that was always on my mind when I would take my trips up to Burlington late in the year to visit Eric at school, and that was STOUT. 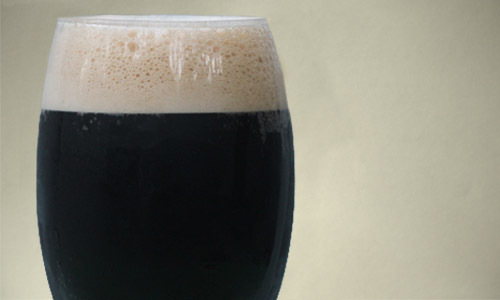 Whether it was the snow, or the fact that the sun set at 4 pm, Stouts were the perfect remedy for those long cold nights. So in honor of the good ol' days, Strong Rope's foray into the dark side of beer is our deliciously creamy and roasty, Trip To Burlington. Trip to Burlington is a full roasted and full bodied stout, with notes of chocolate, coffee and a bit of dark fruit. Well hopped to add an extra layer character and bitterness, this stout is worth the trip! Young Lion of the West: Cream Ale, 5.2% ABV. Young Lion of the West is a light yet flavorful cream ale with just enough hops to give it a little bite. Young Lion of the West (An old nickname of Rochester NY) is named in homage to my hometown's most famous brewery (Genesee Brewery) and one of its famous beers, Genesee Cream Ale.